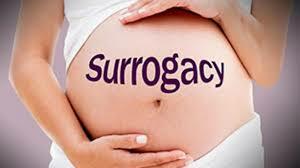 Surrogacy is the best treatment option for infertile women whose uterus is absent ; or irreparably damaged . Now, this is an extremely expensive treatment and not something which should be taken lightly. However, it's often overused and abused because a lot of surrogacy treatment today is being done for patients who don't need it in the first place. This is typically women who have failed two or three IVF treatment cycles , and the doctor then advices them to do surrogacy. However, surrogacy is often the wrong treatment option for women with repeated implantation failure, but lots of surrogacy centers in Mumbai and in India are happy to push this particular treatment option because they can charge a lot more for it. This can actually be tragic , because the pregnancy rate does not improve for these patients who have repeated IVF failure. This is because the reason for the repeated failure of implantation is usually poor embryo quality, and changing the uterus will not help to improve this ! As a result, the pregnancy rate will not increase , but the cost will ! This is why you need to be very careful and make sure you find an ethical, upright surrogacy center for your treatment !